Why do golf balls have dimples and how do they help the ball fly further? 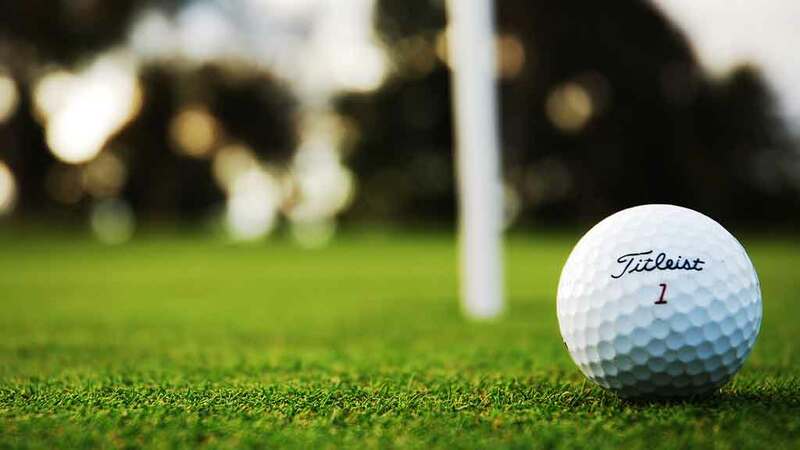 It was golfers themselves who discovered that golf balls with nicks, dents, and scrapes flew farther than the round, smooth balls that were originally used in the modern game of golf. The effects were so dramatic that they began aging their new balls as quickly as possible by pounding and scraping them. Eventually, the manufacturers recognized that they could sell more balls if they made the balls with dents already in them. But what makes dimpled balls fly farther? Any object that’s moving through the atmosphere has to push air out of its way. The air pushes back, producing friction and slowing the object down. Dimples help reduce the drag by creating a layer of turbulence around the balllittle swirling pockets of gusty air molecules that roll snugly along the outside of the ball’s surface. Without dimples, the air would roll off the sides of the ball; the dimples part the air more neatly and force it to roll off the back instead of the sides. Besides reducing friction, this creates a back-pressure that helps propel the ball even farther. But wait, there’s more. There’s also backspin to consider. The faces of all golf clubs, except for the putters, are slanted so that the ball gets launched into a backward spin as it flies through the air. This spinning motion pulls air quickly along the top of the ball, reducing air pressure in the same way an airplane wing does, lifting the ball and keeping it aloft for substantially longer than a smooth ball. If you can hit the dimpled ball 260 yards, for example, you’ll find that the same shot will send a smooth ball only 120 yards. The average ball has 415 dimples, with a range between 360 and 523 as the most popular. There are 336 dimples on an American ball, and 330 on a British golf ball. Original golf balls were made of wood, and it wasn’t until the nineteenth century that they evolved through a number of changes. They went from wet feathers stuffed into wet leather for shrinking to “gut-ties,” balls made from a Malaysian form of rubber. At this point someone noticed that the new ball flew further when scuffed up after being hit a few times, and so dimples were added to encourage distance by imitating a well-used ball. A golf ball with dimples flies further because it has less aerodynamic drag than a golf ball with no dimples. The effect is pretty dramatic in fact, and a golf ball with dimples flies up to 4 times further than one without. Why Do Golf Balls Have Dimples and How Do the Dimples on a Golf Ball Help it Fly Further? How do golf ball manufacturers test golf balls before offering them for sale to the public? Why Do Geese Fly In a V Formation, Why Is it More Efficient, and How Does it Help Birds Fly Further?